MORRIS, Ill. (WLS) -- All eastbound lanes of I-80 just west of Morris, Ill., were blocked for a time Saturday due to a multi-vehicle crash. Grundy County police say injures in the crash are reported to be minor. 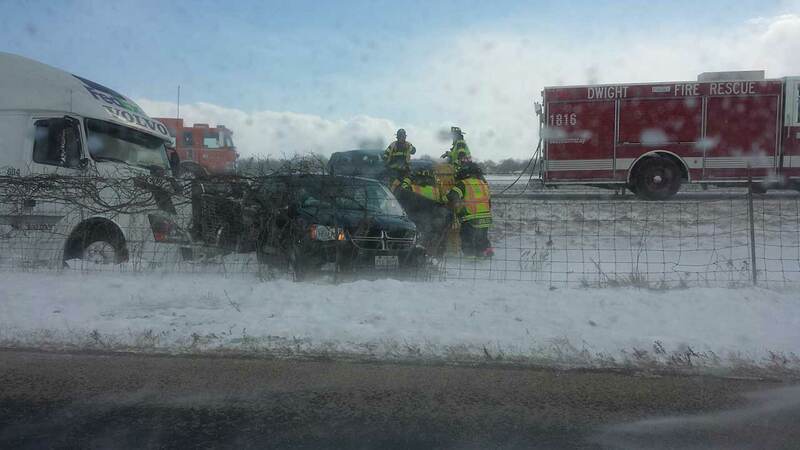 Police also say that I-55 southbound lanes near Gardner, Ill., were also closed as a result of multiple crashes. White out conditions are being reported in both locations due to high winds and blowing snow. Police advise residents to avoid traveling through those areas, and to exercise extreme caution if travel is unavoidable.